A blogger and author has declared that Jane Austen’s books should not be “forced upon” students studying English literature. We are not going to jump all over this author, or even beat her into a virtually bloody pulp with the Cluebat of Janeite Righteousness. Perhaps a few love taps, but not a beating. We do not expect everyone to love Jane Austen’s novels. However, we do want to refute a few points in this particular blog post, and point out why it is indeed important to study Jane Austen’s novels as part of an English literature curriculum. Teachers teach Jane Austen because she is easy to teach, familiar, and non-controversial. So where does Jane Austen fit into this? She fits into the slot between the 18th-century novelists–Richardson, Burney, Radcliffe–and the Victorians–Eliot, James. That’s a fairly large jump. Plainly stated, the development of modern conventions of plotting and narration and characterization and the general construction of what we think of as a novel were pioneered in the novels of Jane Austen. She was heavily influenced by the novels she read–we know Austen was a big fan of Richardson and Burney, and she could not have written such an affectionately perfect parody of Radcliffe as Northanger Abbey unless she enjoyed The Mysteries of Udolpho–and yet she improved upon them. Our book group just last week met to discuss Burney’s Evelina, which we all enjoyed immensely, and yet we all noticed that there were all these minor characters and subplots that, while hilarious, did nothing to move the plot along–something that a modern author would be told to remove from her manuscript. Jane Austen built hilarious minor characters into her books, and even a few funny subplots, but they all serve to move the main plot. This is a technical improvement that is crucial to the development of the novel, and is certainly worthy of the attention even of a modern teenager who has important texting to tend to before deigning to read a book. But generation after generation of high schoolers are left with the impression that Austen’s novels are what writing should be, and it’s poisoning them. Long descriptions, endless parlor scenes, pace that drags across empty weeks and months. Maybe she should have just left blank pages with months written on them to show the passage of time. We hear that a popular modern author that the kids like to read finds that a workable proposition. It’s not beautiful language and astonishingly complex human relationships, as Shakespeare is. Wait, what? Did she read the same Austen novels we did? The syntax is gorgeous and the characterizations are complex and nuanced. The latter at least is not very apparent in Austen’s predecessors. Because novels were considered something that young people should not read, heroes and heroines tended to be annoyingly and boringly perfect. (Read the first chapter of Northanger Abbey to understand how the normal teenager Catherine Morland is so very unlike a typical heroine of her time.) 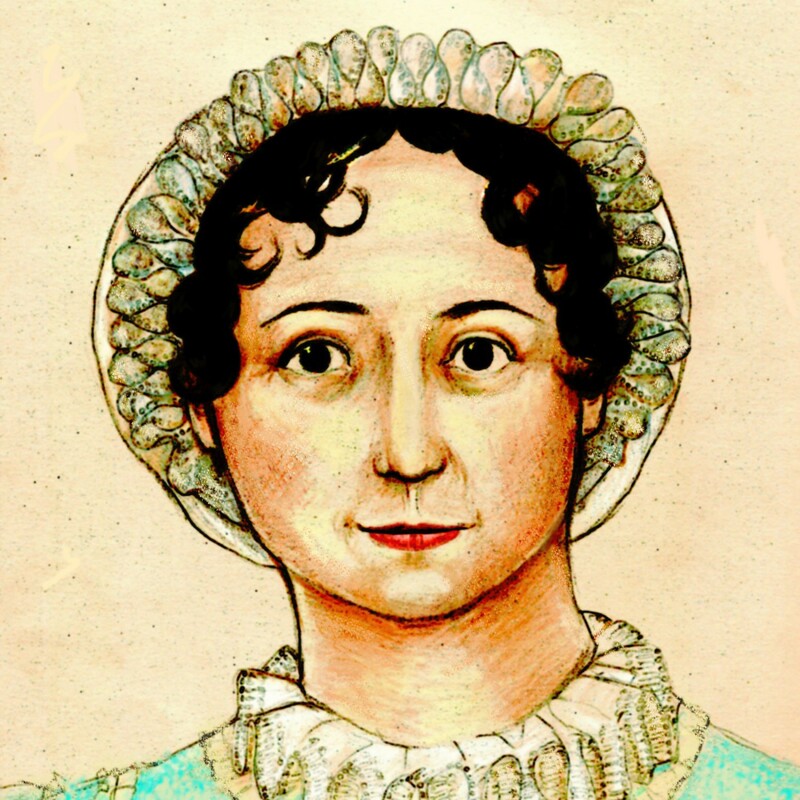 Austen made it okay to have a flawed hero–or heroine!–in a novel. Part of the interest of Austen’s heroes and villains is that the villains appear, at first, to be heroes, if one is accustomed to the novels of her time period: they have excellent address, they are handsome, they are everything a hero should appear to be; and the heroes have personality defects, such as snobbish pride or shyness or a compulsion to make fun of everything that amuses him; but when push comes to shove, the real hero shows his true worth. And so it is in real life. That sort of thing is normal now, but that’s because the writers learned it from…Jane Austen. It’s ploddingly dysfunctional and does not help young writers learn their craft or young anybody learn how to communicate. We find it ironic that anyone who professes herself an author can discount Jane Austen’s work so cavalierly. We’re not saying they will necessarily be everyone’s cup of tea, but Austen’s novels are an important part of the development of Western literature, and without her books, you might not be writing at all–or writing very differently. We would love it if those who teach English literature at both the high-school and university level would weigh in on this topic. Why do you teach Jane Austen, and what do you expect your students to take away from it? Jane Austen’s mastery and artistic use of the English language are what sends me back to reread her books again and again. I occasionally just linger on one sentence marveling at how she crafted it. In a way, I am glad that no English teacher ever ruined Jane Austen for me by forcing me to compare and contrast Lizzy and Jane. Inferior English teachers have turned off many a teenager from wonderful literature. However, if Jane Austen was approached enthusiastically, by a Janeite teacher, perhaps using Northanger Abbey and using the “Visual Novel” as they like to call it these days, with screenplay by Andrew Davies to really catch their attention, a new generation of students might learn to love Austen, younger than some of us did. The introduction to the book version of Emma Thompson’s Screenplay of Sense and Sensibility has a wonderful story by Producer Lindsay Doran on how her high school English teacher turned her off of Jane Austen and then how her University English Professor (and a very cool student) clued her in to the humour and brilliance of our favourite author. Great discussion Mags! Love your blog. I did not study Austern in high school either (and I went to an excellent school), and only one of her books – Persuasion – was ever on any of my college syllabi, and I was a 19th century English lit major. I found Austen on my own, and while what my teachers taught me about reading and analysis increased my appreciation of her, I think I would have benefited greatly by reading her books in school. I would have loved to have been asked an essay question like the one the blogger takes issue with: “Compare and contrast the relationships between Lizzie and Darcy and Jane and Bingley.” Or even better, the blogger’s question: “…how is this getting anybody ready for anything? How is reading a novel that is nearly two hundred years old helping?” First of all, the essay question addresses a student’s basic ability to engage in analysis, a skill that is absolutely necessary to be a constructive member of society, a productive worker (in whatever field), and a successful communicator. Secondly, any book, regardless of its age, adds to a student’s understanding of culture, particularly social change and development. When that book happens to be one, like any of Austen’s, that demonstrates the pitfalls of human folly while providing examples of superior conduct, it provides the added benefit of building character, a thing which every teenager I have ever known requires (in varying degrees). God knows I could have done with a heavy dose of it. Notice how the first point quoted here is no less true of Shakespeare than it is of Austen, and that Shakespeare is held up as superior to Austen a few points down. Nah, the author/blogger needs a few whacks with that Cluebat. Students need to be challenged, that’s all part of learning to be a grown up. Nearly. Died. Laughing. So true. Perhaps she might apply to Mr. Santayana for an explanation. I am currently reading The Mysteries of Udolpho and it just makes me want to return to Austen. Though as I’m struggling through it, I can see the flaws in the novel and the improvements Jane Austen made to writing and just how brilliant she was. I think its vitally important for people to see how novels changed and it would be ridiculously to jump from 18th century writers straight to the Victorians. I cannot believe anyone who makes any claims or pretensions towards the teaching profession (I did not read the full piece, I will admit, so I do not know her profession) can negate the power of Jane Austen. Without Jane Austen, so much other literature, some of which I am sure the author thinks vital in school curriculum, would not exist. So many authors have been HEAVILY influenced by Jane Austen. Just to give one example, ‘Howard’s End’ by E.M. Forster would probably be different if ‘Sense and Sensibility’ had never been written. Would the author of the blog then discredit ‘Howard’s End’? Also, I find it ironic that she puts down Austen’s works for being irrelevant due to their age, and then touts Shakespeare as being better in all respects. SHAKESPEARE IS OBVIOUSLY MUCH OLDER THAN AUSTEN. Are Shakespeare’s works all irrelevant, then, as well? What about Homer and Chaucer? Beowulf? These are all canonical texts written WAY before Austen, and appear on many a school reading list. Okay, that’s the end of my rant. I do truly understand that Jane Austen is not universally appealing. However, she changed literature forever! If the author of the blog would like to be taken seriously, I hope she would post more plausible comments demeaning Austen. Only those who have never heard of Jane Austen would believe what she says (and those who have never heard of Austen have much more schooling of their own to do). One must take into account the historical context of Jane’s novels, both inside the novel, where as you say, social conventions of that time constrained the characters, and of Jane’s place in the evolution of the novel. This author and blogger must not be aware of English history. Jane’s novels were listed in a 100 great books list. We did not read her for high school English, but I did discover Pride and Prejudice one summer while checking books off that list. My English professor in college, while touching upon Jane’s place in the history of literature, did not assign her books for reading. What in blazes is this author/blogger talking about? ….Long descriptions, endless parlor scenes…. When was the last time this person read Austen? There is practically no description in Austen. We know Lydia is the tallest of the Bennet sisters, and that Lizzie has fine eyes, and the Jane is considered the prettiest, but do we know anything specific about how they look? No, we don’t, which is a lot of fun for the reader. Especially compared to many other 18th- and 19th-century novelists, Austen has almost no description. But probably the author of this post sees no value in reading Richardson, Dickens, Eliot, or James either. I am rather baffled by this blogger’s arguments. Some of what she says is somewhat true. Austen’s books are familiar, and the action can move slowly at times, and people are dysfunctional and bad at communicating. But if you remove all books from your required reading list that fit this description, you’re going to have absolutely nothing left. We read the Canterbury Tales because it’s familiar, even though few people have any idea what it’s about. I cannot think of a single way that Beowulf helps me “learn my craft.” And as for not teaching people how to communicate, I have often felt that the plot of most Shakespeare plays boils down to “If you’d just talk to people you’re upset with, fewer of them would end up dead!” I’m looking at you, Othello. I didn’t read Austen in high school or college and regard it as a total tragedy. I’m sorry? How does comparing and contrasting different romantic relationships helping high schooler? Aren’t they in the stage of their life where they are attempting to navigate romantic relationships and decide what is healthy and unhealthy? I’d much rather have my daughter taking cues from Mr. & Mrs. Darcy than Mr. & Mrs. Cullen. I don’t see Jane as entirely uncontroversial either. In fact, it could open up a great discussion about the place of women in society, both then and now, relationships, and the family structure. If the author thinks these questions are settled, then she hasn’t seen much of the world. “Long descriptions, endless parlor scenes, pace that drags across empty weeks and months”? What Austen has she been reading? “It’s not beautiful language and astonishingly complex human relationships.” There’s no other answer. She must be dead inside. If I could write 1/100th as well as Austen I’d kneel down and thank my lucky stars. Having gone back and read the original post that prompted Mags’s post, I can say only that Ms. Armstrong does not the deserve the compliment of rational opposition. Hear hear. I did the same, and found the post empty of original thought, irony, or great writing. I was almost ready to hit the “Report Abuse” button on Ms. Armstrong’s blog. I’m not sure what she thinks IS appropriate reading for high school students. I’ve taught high school and now teach at a liberal arts college. The reason Austen is “easy to teach” is that there is no end of things to discuss and explore. Reach into any page, and your hand comes out full of jewels. Three years ago, I taught a course with both Pride and Prejudice and Bridgit Jones’s Diary. I thoroughly loved Bridgit when it was published and thought my students would like it, too. Guess what–it was dated. Students found it hard to relate to Bridgit. Could they relate to Elizabeth Bennet? Yes. And to Charlotte Lucas and to Mr. Bennet, even Mrs. Bennet. Pride and Prejudice was not dated. The characters, action, language have kept sparkeling through 200 years of readership. Students I taught 10, 15 years ago, as well as students I taught last semester, continue to send me links and articles they find that relate to Austen. They don’t seem damaged by the experience of reading Austen in my classes. Will anyone read Ms. Armstong’s blog in 200 years? I’m joining the conversation late, alas, but for anyone interested in a true scholar’s view of Jane, I suggest Harold Bloom in THE WESTERN CANON: “Canonical Memory in Early Wordsworth and Jane Austen’s PERSUASION,” in which he states that Austen’s writing is the turning point at which the modern novel begins. For that reason alone, she’s worth teaching.